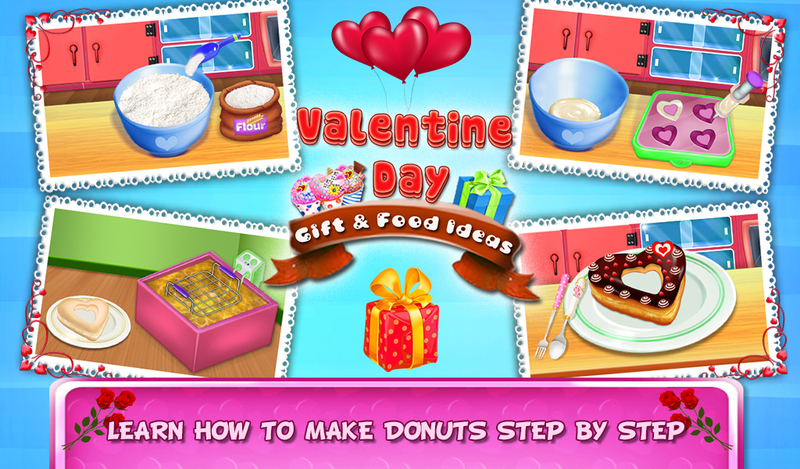 Valentine Day Gift & Food Ideas is a game about the preparation of the Valentine party. The couple wants the valentine party a little more exciting. One couple gets an idea to celebrate upcoming Valentine with lots of fun. That couple organizes a valentine party and sends an invitation to their friends and colleagues. The couple decided to prepare some special things for their friends and for themselves also. The Couple is chatting on the phone. The boy has some planning for the next valentine. The girl immediately calls him up and asks him about his plans. They decide to plan something really romantic. Know what are they planning in this romantic game and get some romantic ideas for the next valentine day. The Couple has planned the party. But they want to send them romantic and beautiful invitation card. They cannot make these cards on their own. There are many tools, decoration, and colors to make an awesome invitation card. Make the shape of the invitation card, fill colors on the card, write love quote and lastly decorates the card. The Couple finally made their invitation cards with your help. Now they meet up to post the invitation card. Both have come up with some ideas and planning. They will share their ideas and planning. Finally, the list of items will be ready for the guests of the party. It's time to make gifts for the guests. But Boy cannot make all these gifts alone. He needs your help to make it. So let's help him to make an attractive gift. There will be the different shape of boxes, choose the chocolate, ribbon, decorations and many more. 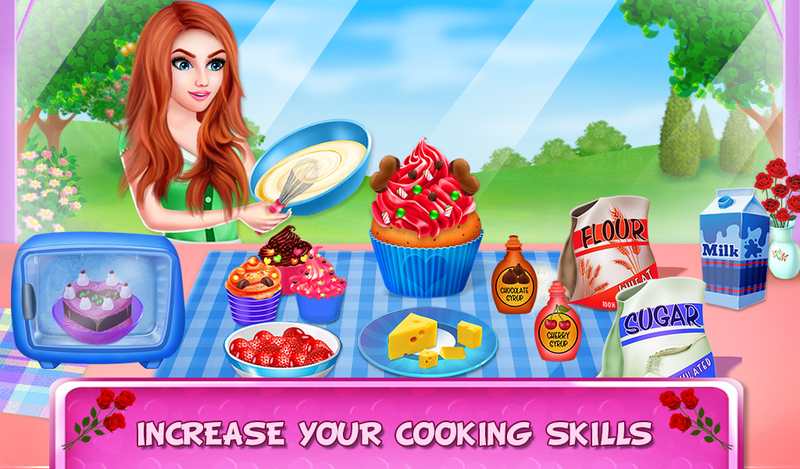 Give your best selection in this cooking game and make a beautiful gift for the guests. In making food view, there are different varieties of lovely desserts and chocolates. Girl has decided to make these lovely foods for guests of their valentine party. This food will add so much value to their valentine party. Girl needs some help to prepare all the desserts for the guests. She always gets confused about cooking. So let's give her a hand to make all the things on the list. First is Cup Cake. Cup Cake is small but the making of the cupcake is not easy. You will need flour, sugar, water, eggs, chocolate decorative, creams, cups and many more. Girl has decided to make a cake to celebrate a Valentine party. Let's help her to make a wonderful cake. To make a cake you will need a bowl, mixer, Owen and different toppings. Decorate the cake toppings beautifully and put some love decorative on the cake. Let's make some tasty and lovely chocolates. Girl wants to make heart shaped two-layered chocolates. To make this kind of chocolate you will require almonds, chocolates, stove, caramel, some fruits, mixture, and Owen. Make pieces of almonds, melt chocolate, add some caramel, mix them, put it in the freezer and its ready. Donut is also on the list of girl's preparation. Donut making has same procedure in the starting as we made the cupcake. But after the mixture you need to feel the mixture in the heart shape then you need to try to make the donut and lastly apply tasty toppings and yummy decorative. The girl doesn't want to make a simple milkshake. She wants to make it special for the Valentine party. 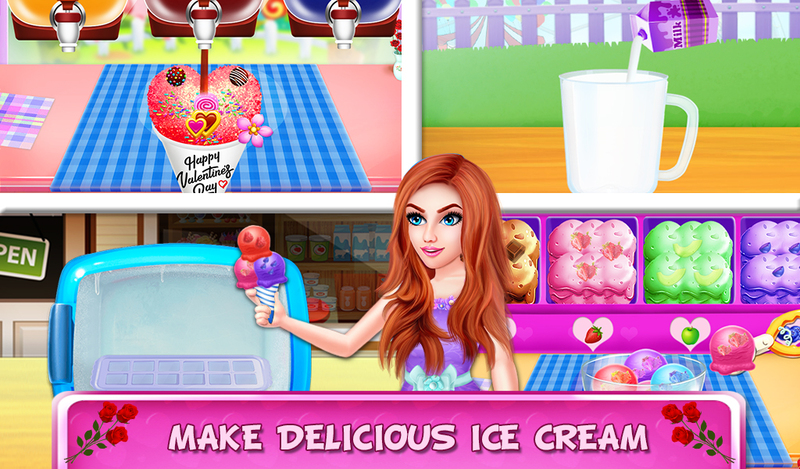 You need some ice, knife, mixture, bowl, milk, ice creams and different toppings and straws. Make a milkshake for the valentine party. Let's give her a hand to help in this one. To make the snow cone, firstly you need ice, then crush the ice in ice crusher, put snow ice in the bowl and select the beautiful cone. Now let's fill this snow ice in the cone and apply some tasty flavors, topping, and decorative. 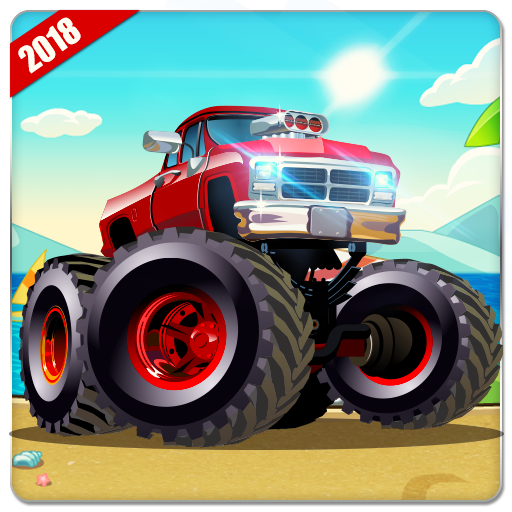 Enjoy different mini-games like Count the numbers Game, Find The Rabbit game, Match the Shape, and rescue the animals.